For years I made New Year’s resolutions: lose weight, give up chocolate, start an exercise program, have better health and myriad other impossible proclamations. While my husband recovered from his stem-cell transplant, I spent all of my spare time in bed—grumpy and depressed and fifty pounds overweight. All of my resolutions clustered around me, tying me to my perpetual inaction. Buy whole-wheat flour and substitute it for half of the white flour in all of your recipes (as you accustom yourself to the taste, keep adding more whole wheat flour and taking out more of the white). Make a salad in the morning and eat it for lunch and supper before you dig into the other food. Buy a pedometer and walk 10,000 steps a day. Walking just 75 minutes a week adds 1.8 years to your life (http://tiny.cc/q0vzpw). Give away your office chair and replace it with an exercise ball (you’ll burn calories as you balance). Go outside and breath deeply—if you live some place beautiful, keep your eyes open. If you live in the city, close your eyes and imagine some place beautiful. Repeat throughout the day. Pray. Spend time in the morning (getting up earlier if you need to) talking to God. Place your list of worries and goals and cares at his feet and let him worry about them. Lace up your shoes and go for a walk. Schedule a haircut, a manicure, a massage, an outing with a friend or time to work on a project. Recognize that ONE piece of chocolate, eaten slowly and savored, satisfies you just as much as an entire chocolate bar (probably more, since ONE piece of chocolate doesn’t make you feel guilty!). 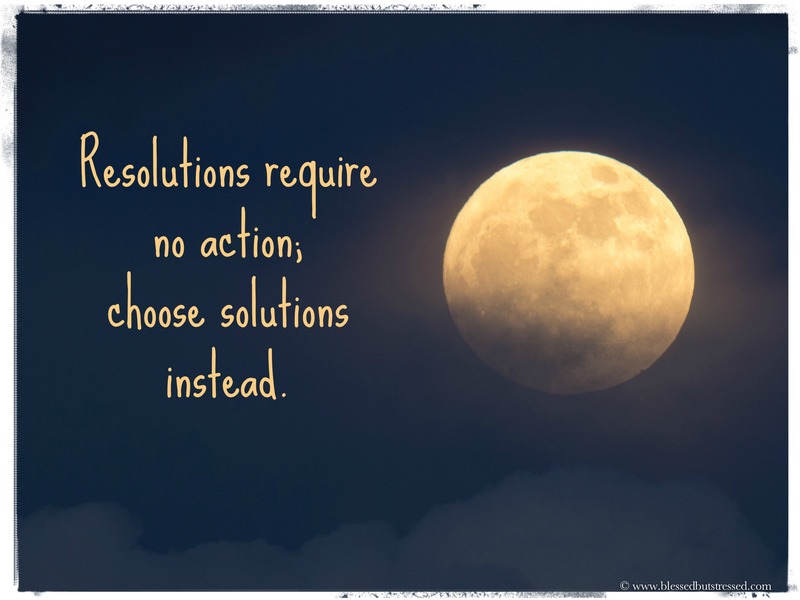 What solutions have YOU started on?